Hey Mars this is your father I saw you tailgating on Rushmore Road you need to slow down dear. Love you Dad. My daughter scolded my yesterday, “mom we have to go through the boxes in the dining room and sort through everything.” She was referring to the boxes stacked to the ceiling in our dining room that have been there since we cleaned out my dad and stepmom’s house in January. They both died 3 months apart from cancer, to say the last year was rough is an understatement. I have not had the courage to face the boxes and the memories they hold and basically the emotions it will stir up when I go through them. When my mom died it took me a year to open the boxes that contained her last worldly possessions and I went through a lot of tissues. And of course I start down that slippery slope of wishing she was still here. I guess since I know what to expect it’s even more difficult to face it this time. My brother is the rip the band-aid off kind of person he went right through all of his boxes the minute we got back. I wish I could more like him in that respect, but I tend to over think things, it’s who I am, so I bless myself for who I am and accept it. So I started unpacking the boxes and in the second box I went through, I found my dad’s Deputy Sheriff’s uniform shirt rolled up in his cowboy hat, still in the original box. My dad retired twelve years ago and this was an earlier version of his uniform so it’s probably been stored like that for 20 years. I am still crying as I type this because that shirt and hat remind me of how dog gone tough my dad was, he was amazing. So it is so hard for me to reconcile that he could not fight cancer and win, it just doesn’t make sense. This was a guy who would go into a bar with dozens of drunk and rowdy bikers all by himself and somehow restore order. He was fearless in every sense of the word. How could a bunch of rogue mutated cells take him down? It just doesn’t seem right. My dad, was obviously intended to be a peace officer, he always felt his job was to resolve difficult situations. If he had to make an arrest he would, but he really just wanted first and foremost to restore peace and have everyone go home. He had such confidence in his ability to resolve situations he would walk into ridiculously outnumbered situations just knowing he could keep the peace. He was always on duty too, if he saw me on the road and I was not following good defensive driving skills he would call me and let me know about it. One time when he was on vacation in Canada everyone in their group was taking pictures of the beautiful scenery but dad heard a traffic accident and being an accident investigator he proceeded over to the accident scene to help out and then began to take evidence photographs. I know my dad would tell me if he were here, Mars I know its going to be hard dear but you just need to go through those boxes. He was not a mushy guy but we had the kind of relationship where I got away with being pretty mushy with him. I know I need to continue on my path and these boxes are a convenient distraction to keep me sidelined from moving on. So I will go through them and I will feel sadness, humor, gratitude, joy, and humility as I sort through their last worldly possessions and cherish the memories they conjure up. The boxes will eventually be empty but the memories will remain with me wherever I am, and the love I feel is as real today as it was when they were here with us. 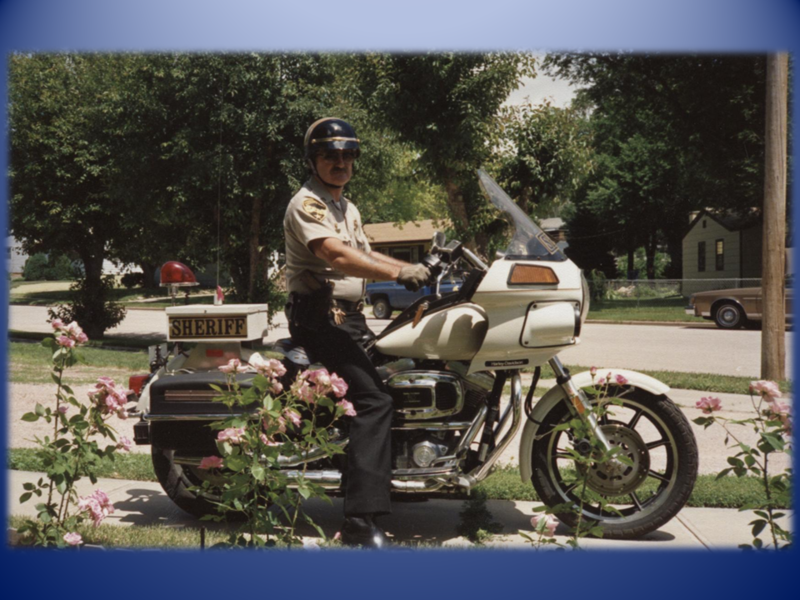 Posted on July 11, 2012, in Cancer Journey, Life, Spiritual Journey and tagged cancer, continuing on, deputy, deputy sheriff, memories, memory, moving on, paths, Pennington County. Bookmark the permalink. 8 Comments. This is a really moving post. I know you know this, but I heard Deepak Chopra say this again recently and it helped me. (Not sure if he made it up.) \”We are not physical beings having a spiritual experience, we are spiritual beings having a physical experience.\” He went on to say that he has no fear of death because he will still be here, just in non-physical form. When I think that people (and for me, pets) that I have loved with all my heart are still here, and maybe even a more powerful supporting presence in this new form, it\’s very comforting. A high five and a big hug to your for starting on those boxes. You are such a beautiful soul. Thank you I completely connect with Deepak Chopra’s beautiful decription of our experience here, yes I do believe they are here and I think you are correct they are in a more powerful form. Hugs back to you. Words don’t begin to express the courage and grace you exemplify – love you girl! Your dad was a great man – a true Warrior Spirit! Oh I love your reference to his warrior spirit, and thank you for your love. Thank you just telling his story and sharing my process is part of the healing for my heart.